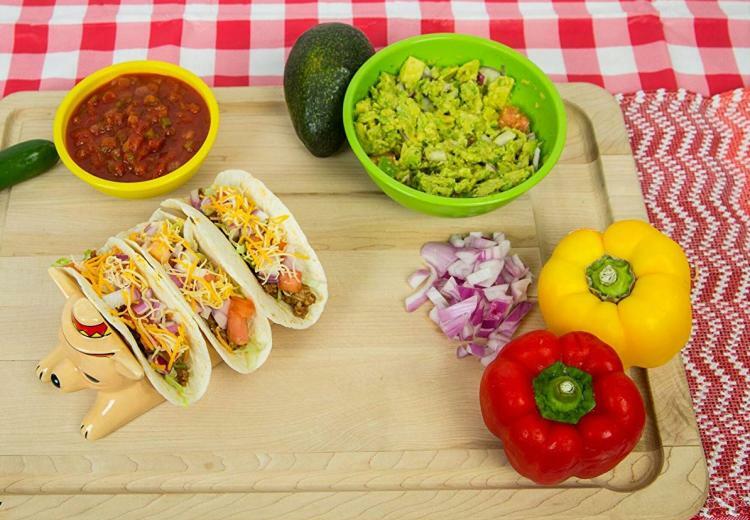 If you're still preparing your tacos by holding them in your hand or placing them on a plate, you're doing it wrong. 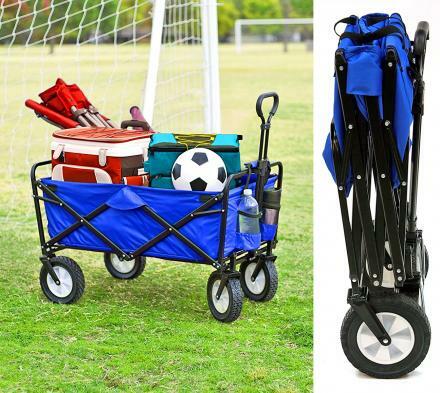 There has been amazing innovation in the taco preparation industry within the last 10 years that will blow you mind, including this amazing Chihuahua Taco Holder. 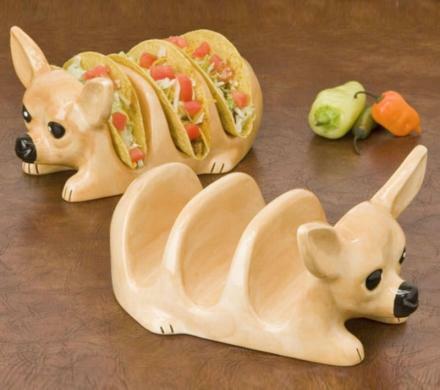 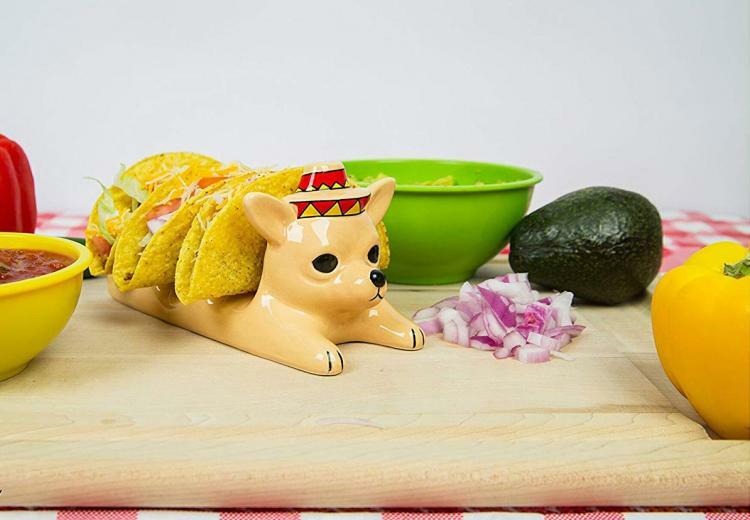 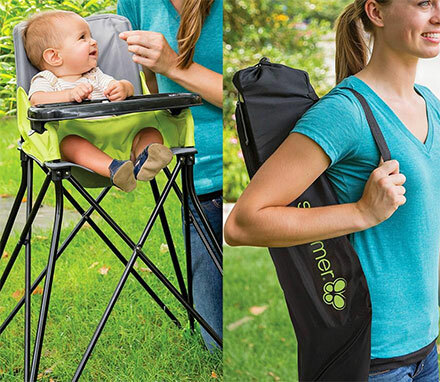 The Chihuahua taco holder is shaped like just a chihuahua, and will hold up to 3 tacos for you so that they won't tip over and spill their delicious ingredients while you prepare them. 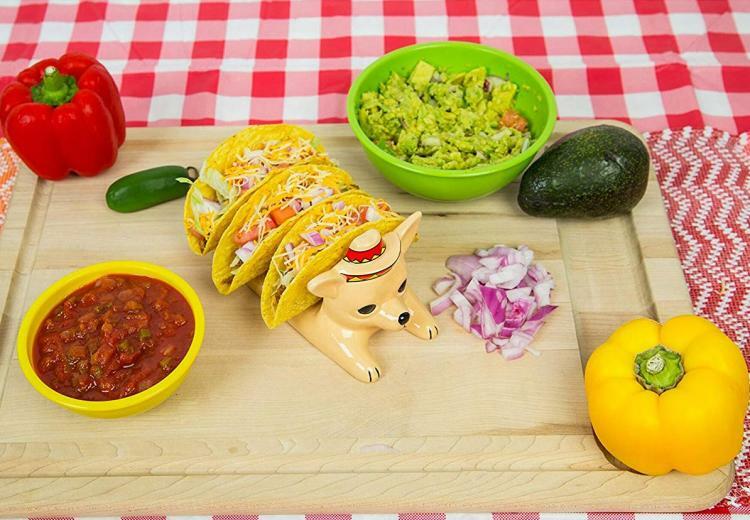 When you're ready to devour a taco, just pick one up, and your other prepared tacos won't just tip over and be destroyed, thus ruining taco Tuesday. 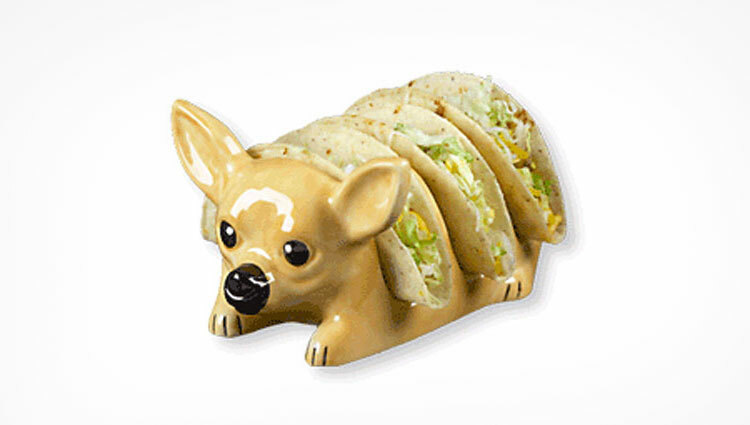 Similar to the taco plate, the chihuahua taco holder doesn't have an area for holding your beans or rice, but make up for it with the the delightful cheeriness of the dog you are eating your tacos out of. 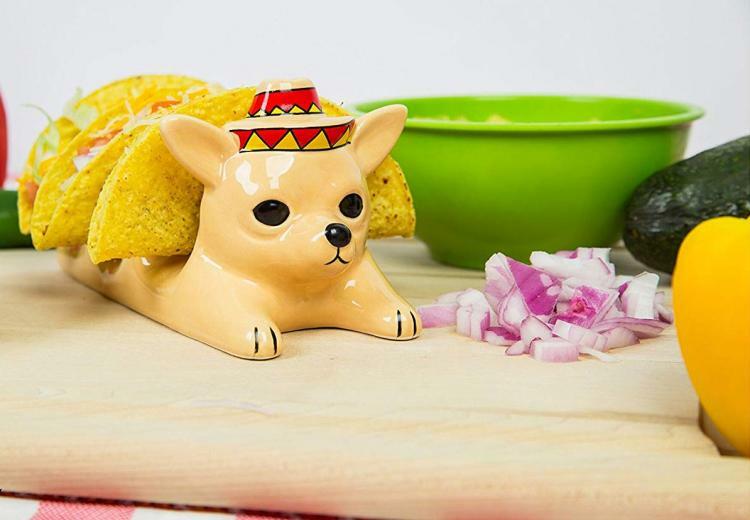 The Chihuahua Taco Holders are sold individually, are made from restaurant-grade ceramic, comes wearing a red sombrero, and makes the perfect gift idea for any taco lover!